An aquifer in New South Wales has gone from a total unknown to one of the best-understood in the country. 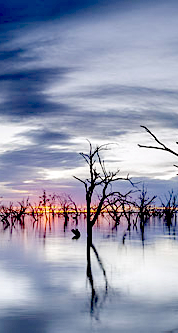 In 2008 Geoscience Australia research led to the discovery of an aquifer near Lake Menindee in far west NSW. Since then, investigations have been undertaken to find ways of using the underground water body to help secure the water supply for nearby Broken Hill, which is vulnerable to drought. Now, NSW Minister for Water and Natural Resources Kevin Humphries says an extra five-million dollars will be spent on a drilling program to investigate using the aquifer as an emergency supply. Geoscience Australia says that the new funds in combination with previous projects have stabilised groundwater sources for floods and droughts, so that the level of water available fluctuates less than it does in rivers and lakes. Water managers say Broken Hill is facing water restrictions for the first time in years, unless something boosts the Menindee Lakes in the next few weeks. There is less than 18 months' supply left for the city right now. While community members are being encouraged to take their own water saving measures, level one restrictions loom from mid-October unless some inflow is made. Darling River Action Group chairman Mark Hutton has told the ABC that the circumstances facing the region feel all too familiar. He says it feels like a repeat of the response to floods in 2004, and may actually be part of some trickery. “It's deja-vu, it's happening all over again,” he said. “We'll be on water restrictions again and our water will be salty and our air coolers and hot water services will start to rot out again as it happened in 2004. Mr Hutton said the groundwater project would cover a plan to drain more water from the Menindee Lakes, as he believes governments will cave to pressure from irrigators and farmers. He said the lakes would be easier to decommission if Broken Hill had started sourcing its water from an aquifer. “Make no mistake, that is the agenda,” he said. “They've been trying to do it for ten years and that's what they're working towards. “One of the reasons why they haven't been able to do it is because of our water supply.